kART Across America: Stop holding up traffic! We drive to South Bend, IN today. 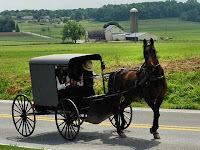 Its Amish country. And we are moving quicker than they are!